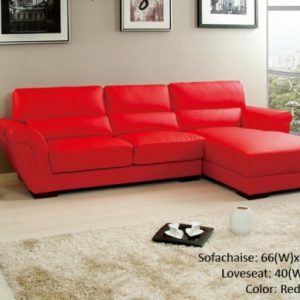 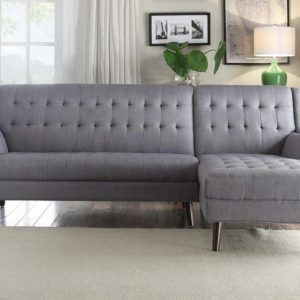 Add a contemporary touch to your home with this sleek L-shaped sectional. 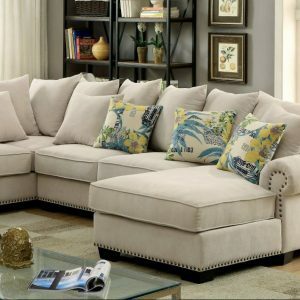 The multitude of loose back pillows with alternating colors create a wonderful dimensional appearance and provide cushioned comfort for hours of fun, relaxation and leisure. 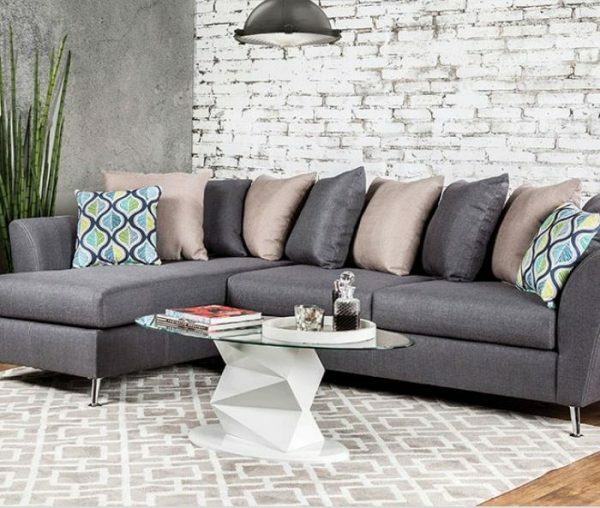 Chic gray fabric, complemented by angled chrome legs, adds a neutral effect that will fit well with any household.